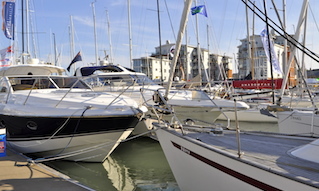 All the major yacht clubs in Cowes have race starting lines marked by transits at, or close to club premises and extending across the Inner and Outer Fairways and into the Outer Harbour. The start line for 'round-the-cans' races is usually from one of the shore lines depicted in the diagram below. 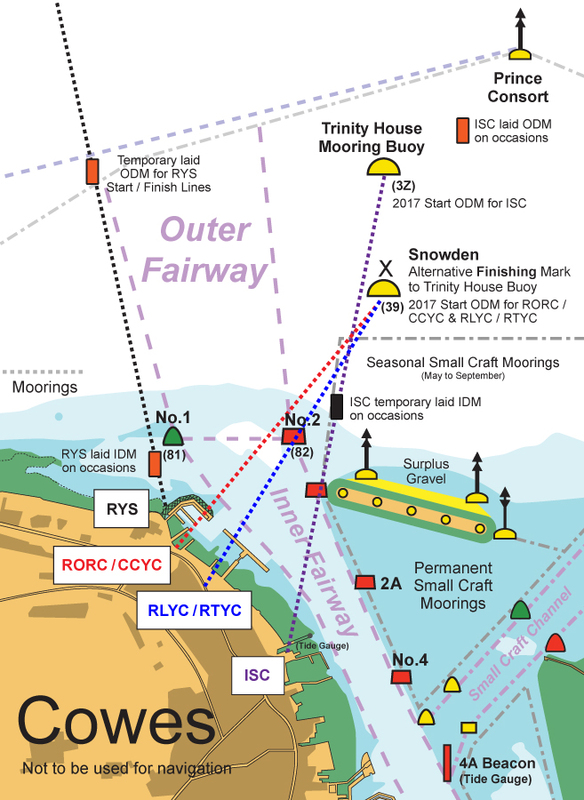 An inner distance mark may also be laid clear of the fairway and the Cowes Breakwater for the duration of the start sequence, subject to the prior approval of Cowes Harbour Commission. For the latest safety and navigational information regarding passage in / out of Cowes, please read the Cowes Local Notices to Mariners. The Island Sailing Club line extends from The Parade in Cowes towards the Trinity House Mooring Buoy. The RORC Cowes shares a line with the Cowes Corinthian Yacht Club, as do the Royal London and Royal Thames Yacht Clubs. These shared lines extend from The Parade towards the special racing mark ‘Snowden'. The Royal Yacht Squadron (RYS) line runs across the Solent towards the West Bramble Buoy. All these lines are shown on the official Admiralty Chart. Finally, East Cowes Sailing Club sails from a line running from East Cowes Esplanade across the Shrape Mud in a northeasterly direction. The Round the Island Race starts from the Royal Yacht Squadron line and finishes on a line established off the Shrape Mud and marked by three committee vessels. See the Round the Island Race event website for more details. 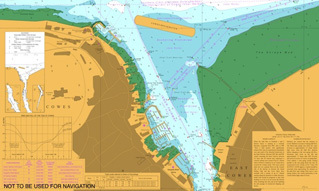 The majority of the Cowes Week races also start from the Royal Yacht Squadron line, which is dissected by the yellow ALPHA buoy during Cowes Week only. The White Group (day class boats) start inshore of ALPHA and the Black Group start off shore; a number of classes will also start from various committee vessels deployed Solent-wide. Classes will either finish on the RYS line or on a finish line established off the Shrape Mud and marked by committee vessels; see the Cowes Week website for more details. The majority of club races are held for yachts competing on a handicap basis. However, while many individual classes have declined in recent years, separate races are still held for Daring Class yachts, Etchells, Sonars, and X One Design boats. 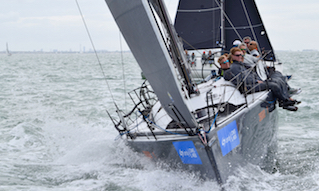 In addition, Cowes clubs regularly manage racing for visiting class associations and institutional groups. The start/finish lines dissect both the Inner and Outer Fairways and yachts manoeuvring prior to starts and after finishing may enter the Inner Fairway. Yachts which are racing carry no special priority over cruising vessels or commercial vessels, however, it is customary for cruising vessels to avoid interfering with racing yachts as much as possible. 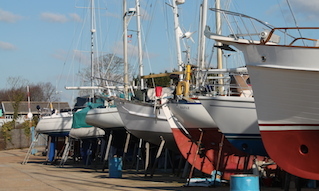 Most yacht clubs manage their races on VHF Radio Channels M1 or M2 (37a and P4). 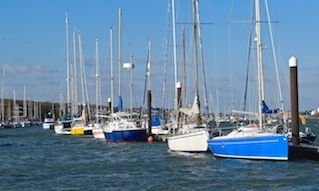 However, Race Officers at Cowes are required to monitor Cowes Harbour Radio (VHF Channel 69). Yacht racing takes place at Cowes from Easter to late September, both at weekends and on weekdays. Evening racing also takes place during the summer on Tuesdays (Island Sailing Club) and Thursdays (East Cowes Sailing Club). During the winter races are held mainly on Saturdays and Sundays. Always check with the organising club or the Sailing Instructions for full details regarding shore line or committee boat starts. All sailing yachts, whether racing or cruising, must comply with Rule 9 of the COLREGS and avoid impeding the passage of a vessel that can only safely navigate within the fairways. 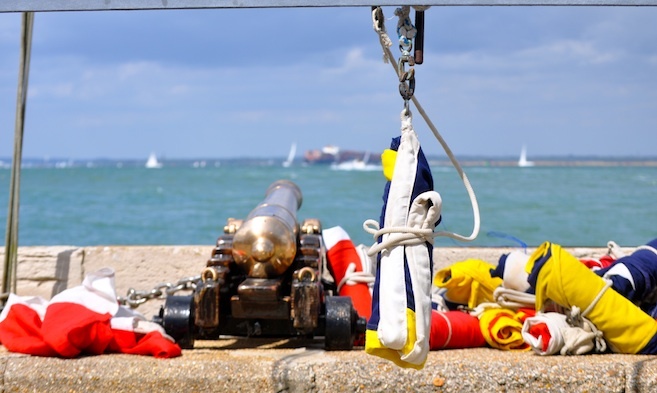 Photo: Starting cannon at the Royal Yacht Squadron, Cowes.